We are so proud to introduce our first partner - Northern Uganda Medical Mission (NUMEM), an organization founded by 6 Ugandan clinical officers in Pader, a town in northern Uganda. Asteroidea met with this extraordinarily gifted and motivated team in July 2015 to observe their clinic operations, to discuss the specific barriers their communities face from accessing quality health care, and to collaborate with them on determining the resources necessary for overcoming them. Asteroidea also collaborated with NUMEM to help form the organization's strategic plan, an important roadmap that will guide them towards their vision for development and expansion of healthcare services to the people of northern Uganda. 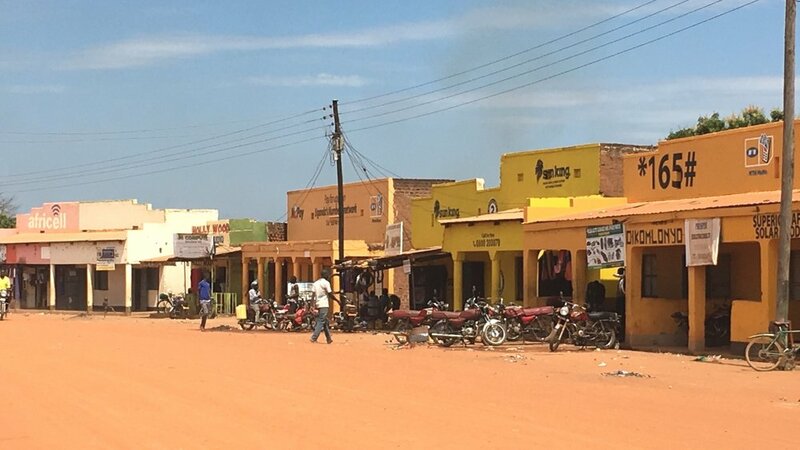 Click here for more here about Pader Town in Northern Uganda. Lab technician, Ambrose, getting ready to process a slide in the diagnosis of malaria. Clinic co-founder, Atiya Patrick Kasagara, making morning rounds and checking on a young patient. Nursing assistant, Charles, performing a minor outpatient procedure for a patient. Nurse, Oryem Bosco, tending to a new mother and her infant. **Each person pictured consented to having their photo taken and included on this website. Patrick looking from NUMEM’s courtyard into a consultation room. "In this district of Pader, not only Pader but in entire Northern Uganda, we lack medical officers and that is one other factor that motivates us more to go and further our studies... in all of northern Uganda we do not have an orthopedic surgeon. And it’s my dream at one point I will become an orthopedic surgeon so that I can come and fill the gap here in the community." “I am Oyet Patrick Abwola, a chairperson in the Board of Directors for NUMEM. In the month of December 2012, we registered NUMEM as a community based organization with its head office in Pader district in northern Uganda, with the aim of seeking to improve the livelihood of the people of northern Uganda by providing them with access to quality, affordable and specialized health care services. Our enthusiasm of serving our people who were only few years from the internally displaced camps, who were suffering from malaria, intestinal worms, tuberculosis, dysentery, open wounds broken legs and arms and many others, did not take place immediately, due to the fact that we had very little funding from individual board members who had just qualified from clinical school. However, the determination and spirit of togetherness kept us strong until the month of March 2013, when we officially opened the clinic.